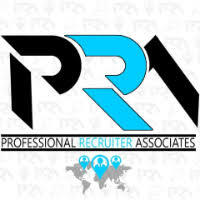 As a result of our continued growth, Professional Recruiter Associates (PRA) is seeking results-driven Recruiters / Account Managers to support our expanding client base. We are looking for sales minded professionals who are driven to succeed. Our staff currently exists of former search firm owners, Vice Presidents, and Managers from Fortune 500 companies. Our lucrative compensation package provide our workers the ability to make $100K plus. Our top recruiters have made $300K – 500K. Money magazine recently ranked our profession as one of the most desirable in the nation. Ask yourself – Have you ever wanted to make over $100K or doctors/lawyers type of income, without having to go to school for 4-8 years of higher level education? If you’re an ambitious, self-confident, motivated person with a strong work ethic and excellent communication skills, then contact us today. Join our team and make your dreams come true! . Why become an Account Manager / Executive Recruiter – What’s in it for you? MONEY! Unlimited earning potential. There is no limit to your potential income. You are rewarded for your efforts. No corporate bands that say you can only make X amount in this band and that you have to be in this band for X number of years, before moving up the pay scale. Bottom line: You get rewarded for your efforts! WE WILL PROVIDE THE TOOLS NEEDED: Comprehensive TRAINING program and continual training throughout your career. State of the art tools and technology to position you for success. All expenses paid. Manage the full life cycle recruitment process based on changing priorities and client needs. Serve as a liaison throughout the entire placement process. Conducting thorough interviews with candidates to evaluate skill and job preferences, ensuring a ‘right fit’ with client requirements. Recruit and present only the most qualified and talented candidates, many of whom are not necessarily looking for a new position, but are receptive to the right professional opportunity. Successful placement of mid to senior level executives and professionals within your industry specialization. Using a consultative approach, you will make recommendations to clients regarding the top talent available to meet their requirements, and provide consistent support and direction to clients and candidates. Build strong relationships with our clients to ensure outstanding customer service. Providing timely updates to candidates on their status in the selection process. The ideal candidate will have at least 5 years experience in an industry or sales/business development. Bachelor’s degree preferred. Ability to source, interview / qualify, negotiate, present candidates, and follow-up. Possess an exceptional drive and motivation to achieve goals. Ability to work independently and manage requisition assignments from receipt to successful completion. Self-confidence, perseverance, excellent communication skills and a high sense of urgency. PRA is boutique search firm, located in beautiful downtown Carlsbad, CA, and industry leader in the recruitment industry since 2001, and has referred thousands of talented people to companies nationwide. Our business is all about helping people — helping professionals with their careers, and helping our clients find the best talent. If you are looking for a more intimate feel and to avoid the large staffing company environment, this is a great place to settle and make money. Walking to the beach for lunch is not too bad either! If what you have read interests you, perhaps PRA has the right opportunity for you. Experience in executive recruiting is not necessary, for all our positions. As an industry leader, we will teach you the proven, time-tested techniques necessary for success. We will encourage and help you get off to a fast start. If you’re the kind of person who wants control of your future and your income – PRA is your opportunity. The next step is up to you. Candidates must be a U.S. citizen or permanent resident. We do not offer practical training positions nor sponsor foreign citizens to obtain work visa or permanent residency.